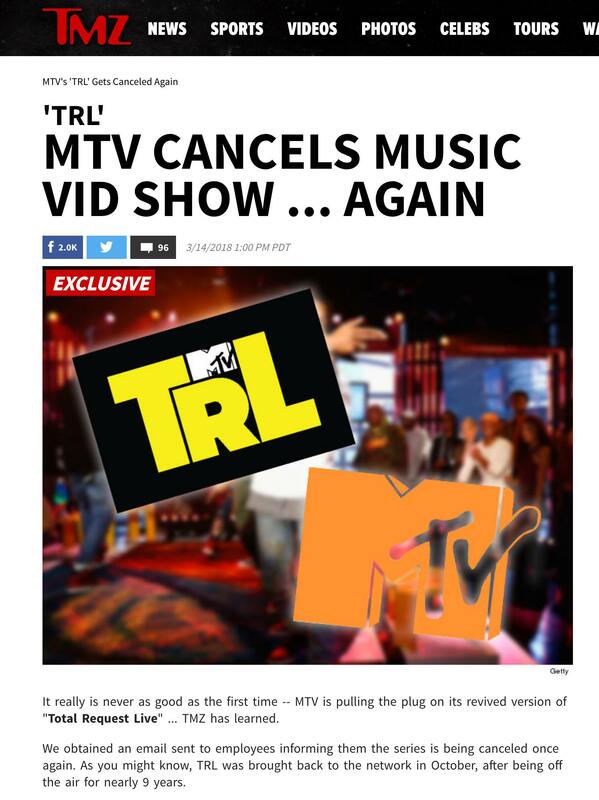 MTV president Chris McCarthy responded to TMZ's report this afternoon that the reboot of Total Request Live had been canceled by announcing that, in fact, TRL is sticking around and will be expanding to morning and late-night editions. "It's thriving," he told The Hollywood Reporter. "We're expanding the franchise and will have three TRLs by summer," He added: "TRL has delivered incredible growth on linear and we've experienced two to three times the growth in our video streams and TRL is big piece of it — and that's why we're expanding it; we want more." 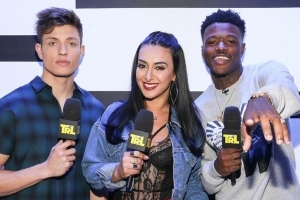 The late-night edition will launch in the summer, airing four nights a week and serve as somewhat of an "after-show" to MTV's primetime programming. Total Request A.M. will air without commercials as a curated Spotify playlist with a traditional video countdown and performances.